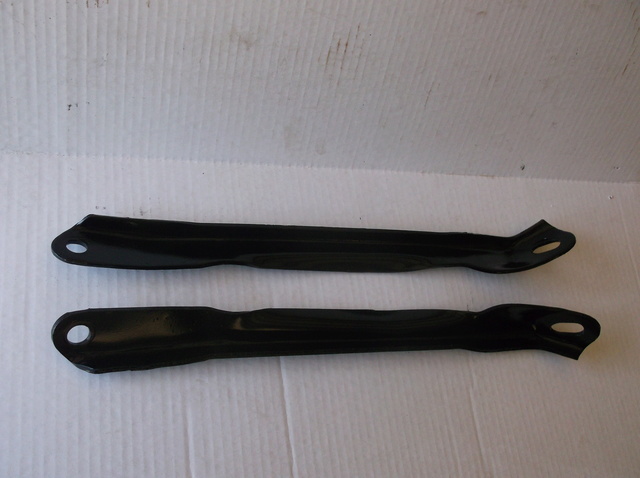 An excellent condition pair (rear left and right) of F41 stabilizer frame brackets (mounts to the upper control arm to the lower control arm). Used on 68-72 Chevelle, GTO, 442, GS and I am told Monte Carlo if a 12-bolt rear end was used (feel free to confirm). Freshly media blasted and painted. Those were used on manual trans cars . I dont believe they fit our years since our upper control arm is a different length than previous years.